Hunter Home Staging is a property styling and home staging business in Lake Macquarie, Newcastle. Property Styling or Home Staging is about how a property is presented for sale. Our goal through our professional staging & styling is to create a feeling of quality from the moment you enter a property. A beautifully staged home creates aspirational spaces buyers want to live in. Hunter Home Staging offers property styling and staging services in Newcastle, Lake Macquarie, the Lower Hunter, Port Stephens and Central Coast areas. Hunter Home Staging is here to help you with the sale of one of your biggest assets - your home. We will work with you, your timeframe and within your budget to prepare your property for sale in a way that gives you the best chance of achieving the maximum sale price in the quickest possible timeframe. We transform properties into 'must have' homes that buyers will fall in love with. Make your property stand out from the rest when selling. A staged home is one that is presented for sale with the greatest number of potential buyers in mind. Whether you are about to list a property for sale or are considering improving your chances of sale after being on the market for some time, Hunter Home Staging can assist. If you are a Homeowner, Realtor or Property Developer, Hunter Home Staging can help you. 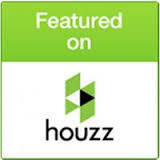 Bronwyn is the Director and Senior Stylist of Hunter Home Staging . As a graduate of the Australian Institute of Home Staging (AIHS), Bronwyn's passion is for real estate and all things styling; she brings a creative flair to all her projects to create beautiful spaces that buyers will fall in love with. Based in Lake Macquarie; Newcastle, Hunter Home Staging offers property styling and staging services to transform properties into 'must have' homes that buyers will fall in love with. We understand that you want your home to sell fast, with no hassles and for the best price possible. You only have 30 seconds to make a good first impression, and 95% of buyers buy on emotion so let us help you make your property one that buyers remember. PICK UP THE PHONE AND CALL US ON FOR A CHAT ON 0428 558 964.